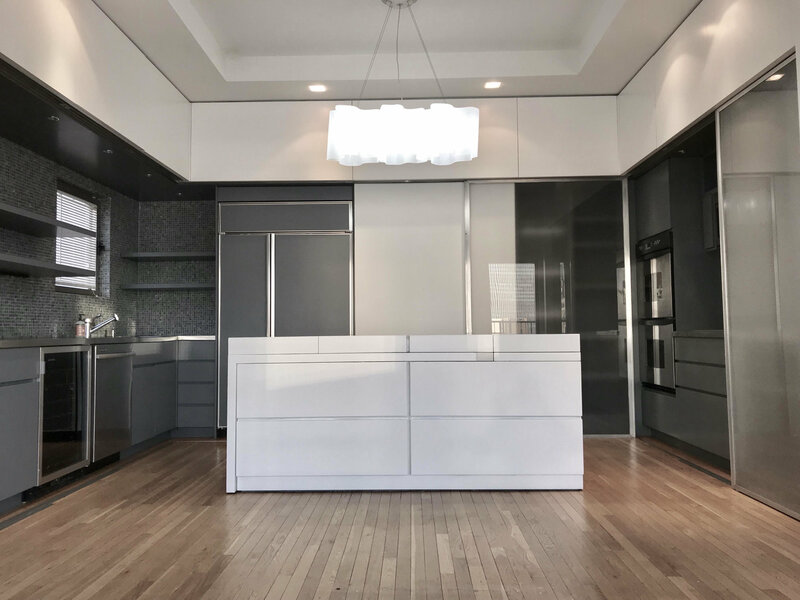 This duplex penthouse is 2,277 square feet and was originally built as a 4 bedroom but has since been converted to a spacious 3 bedroom/3 bathroom. 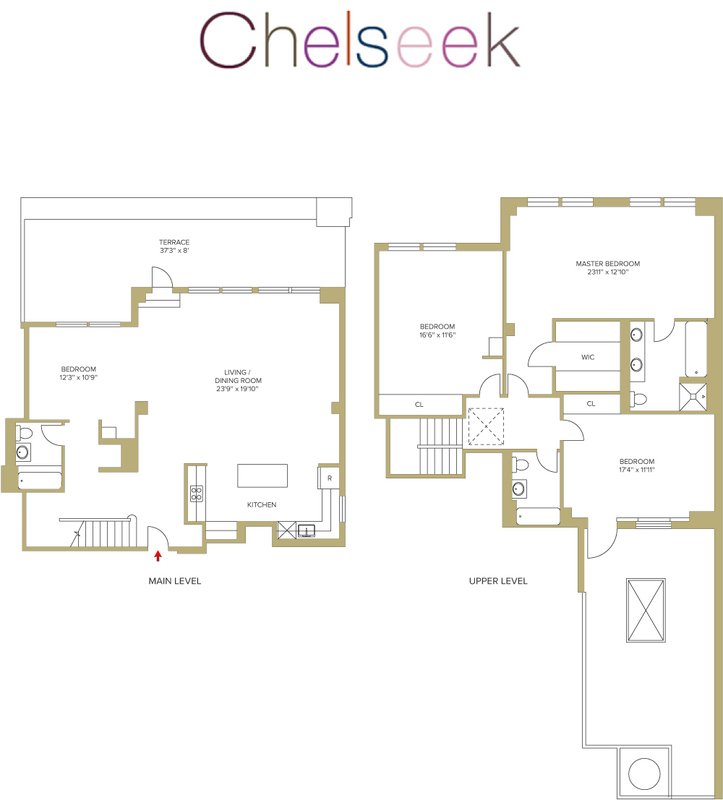 The Chelsea Mercantile is the tallest prewar residential buildings in Chelsea and offers unmatched views in the penthouse category. There are 2 terraces; one of which is located right off of the living and dinning areas on the main level. The second terrace is adjacent to one of the bedrooms on the upper level. 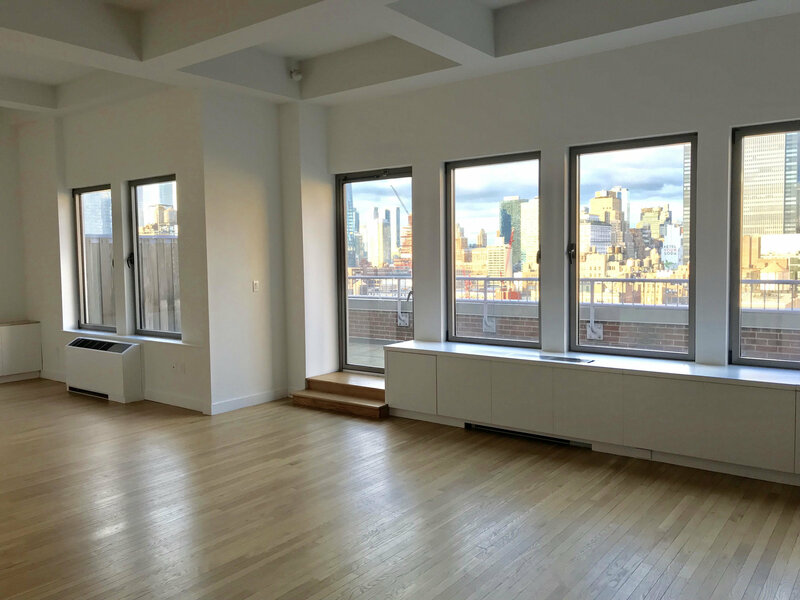 Oversized windows capture beautiful northern and southern light, Views include the newly constructed towers of the Hudson Yards to the north and the Freedom Tower to the south. There is a wood burning fireplace in the great room as well as the master bedroom which also features a large walk-in-closet. The master bathroom and second bathroom have skylights and enjoy natural sunlight. The open kitchen features a window, double wall ovens, plenty of storage and a wine cooler. There is direct elevator access to a garage, a children's playroom, gym and a 10,000 sqft roof deck. 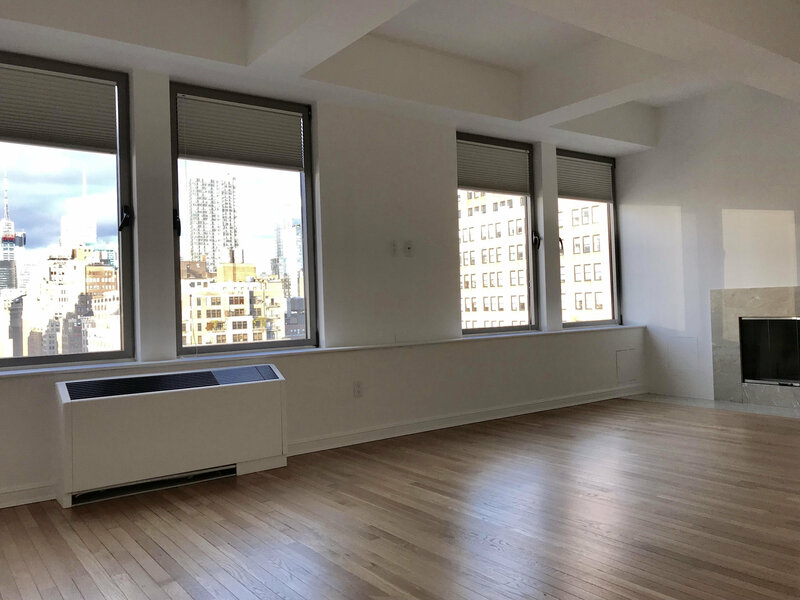 The building is centrally located and within close proximity to the Avenues School, eight subway lines, the theater district, West Village, Flatiron District, Gallery District, The Whole Foods Market, many restaurants and shopping venues.